Dolphins, along with monkeys, cats and dogs, are some of the most loved animals by humans so it obviously makes sense to develop a range of slots that focus on these most intelligent and beautiful creatures. 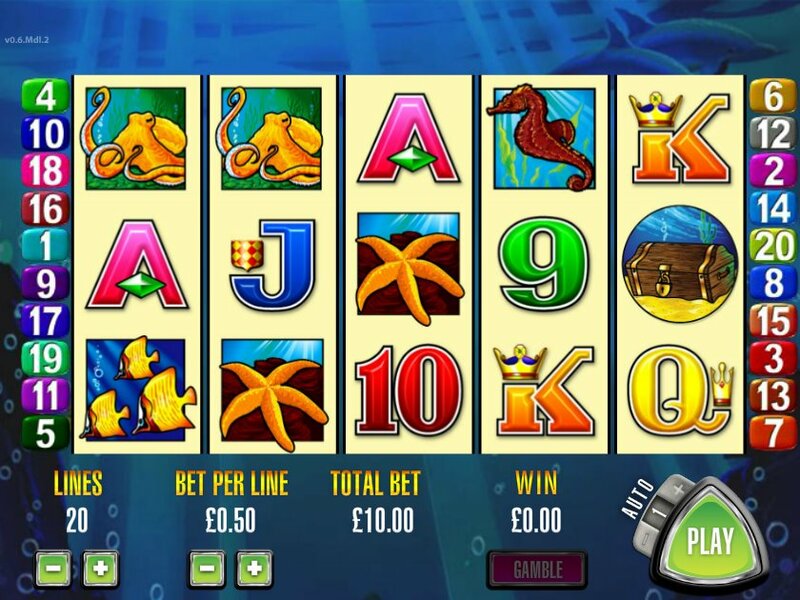 Slot developer Aristocrat has joined the immaculate presence of Novomatic with their Dolphins Pearl Deluxe slot and the Ainsworth-developed 50 Dolphins slot with the release of this dolphin-themed slot. Dolphin Treasure is a 5 reel, 20 payline slot that is based on the theme of dolphins and that immediately gives the slot a feeling of serenity and relaxation in your quest to win some big prizes. The reels are set against an underwater backdrop and the symbols on the reels consist of starfish, sea turtles, treasure chests, sea horse, octopus and tropical fish. The dolphin symbol acts as the Wild and substitutes for all other symbols except for the Scatters. You will also earn a 27,000x your line bet prize if you manage to hit five Wilds across the reels. This slot comes with a free spins bonus round and this can be triggered by hitting three or more treasure chest Scatters across the reels. You will be awarded at least 15 free spins and these free spins can be re-triggered if you hit three or more Scatter symbols across the reels during the free spins bonus round. 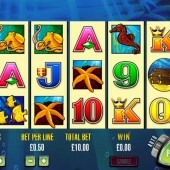 Dolphin Treasure is a simple slot with little to get too excited about it but it’s a nice little chilled out slot. If you liked NextGen Gaming’s underrated Dolphin Reef slot then you should definitely give this title a go. The pay outs for the Wild combinations are tasty but this slot could have done with a Pick ‘em Bonus to really add some spice to it.